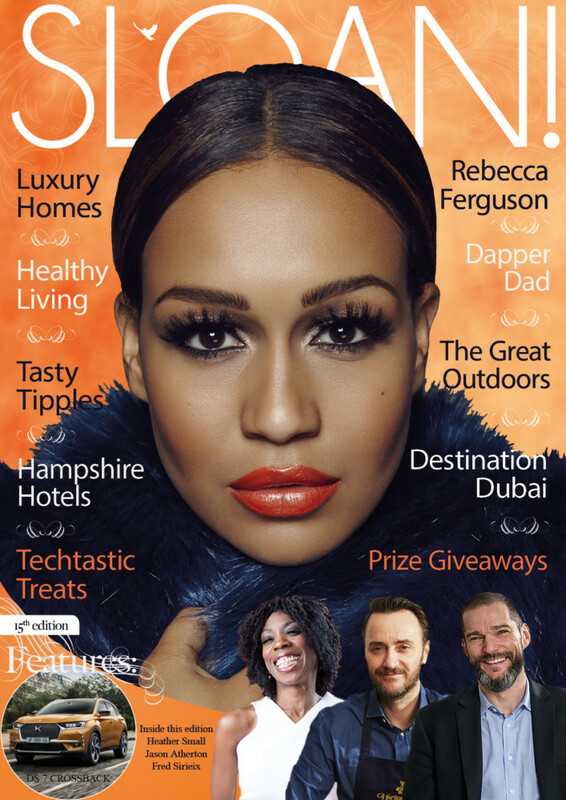 An icon of British hospitality since 1963, London Hilton on Park Lane was the very first Hilton to open in the UK — and has been the purveyors of 5-star luxury hospitality and service excellence ever since. Overlooking Hyde Park, the fantastic Mayfair location is close to many of London’s top attractions including West End theatres, historic landmarks and famous shopping districts. 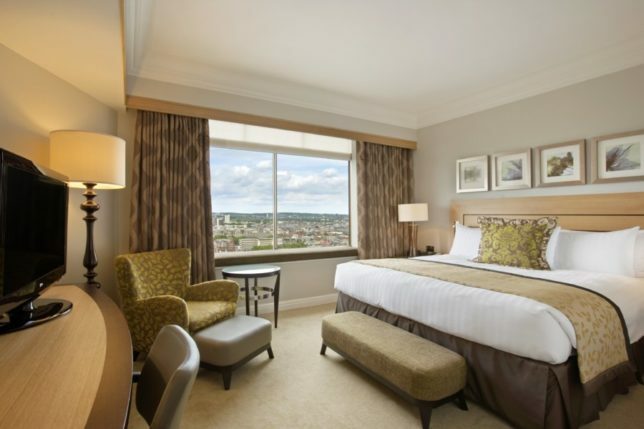 Once you step inside the hotel, you will find elegant rooms with magnificent views, world-class dining, and modern facilities for business and relaxation — in fact everything you could possibly need for a remarkable stay in the capital. 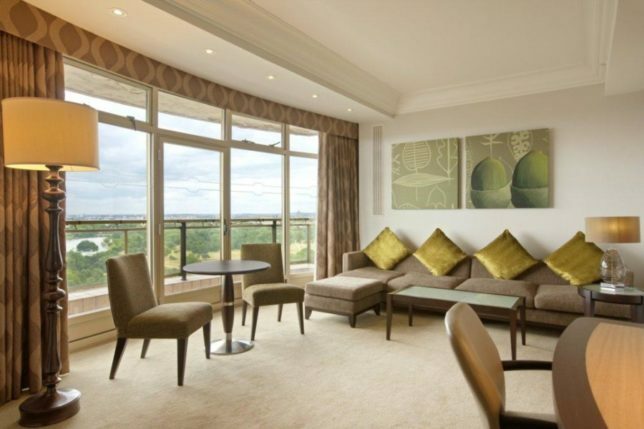 We stayed in the stunning one-bedroom Park Lane Suite overlooking Hyde Park and with ther magnificent three-bedroom Royal and Presidential suites, there really is something to suit every luxurious taste. 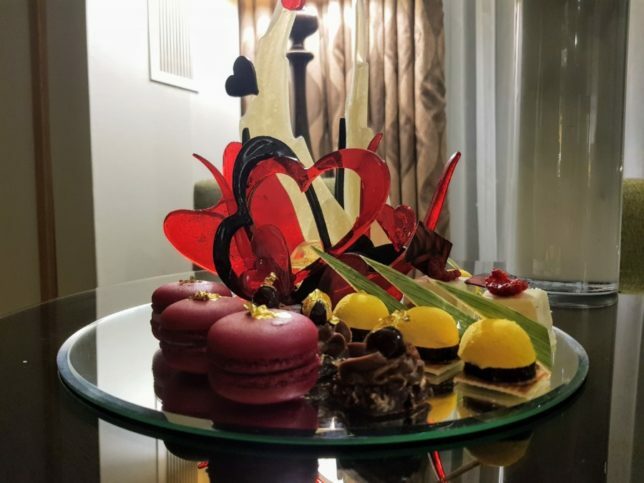 Upon arrival we were greeted with this stunning work of sugar art by the hotel’s talented Pastry Chefs which added the perfect touch of romance to our starry-eyed staycation. 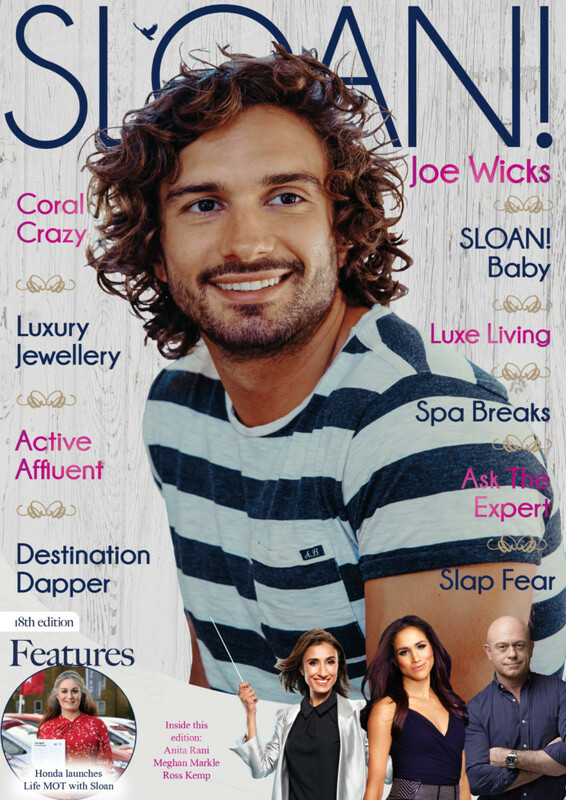 Also available for all hotel guests staying in one of the suites is access to the Executive Lounge where you can enjoy the benefit of secure internet access, private Check-In/Out, shower facilities, complimentary Continental breakfast, afternoon tea and evening canapés. 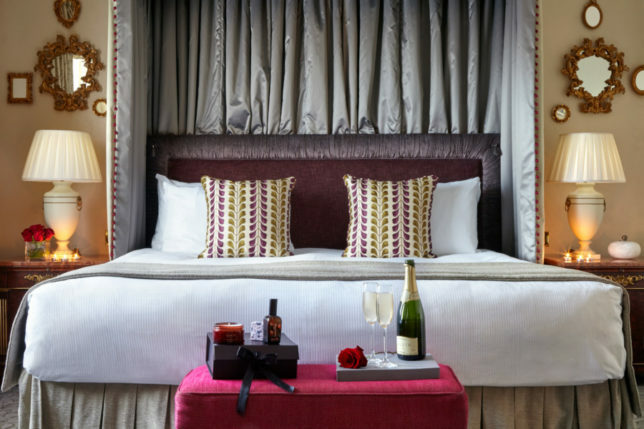 The 56 suites are available in 10 sumptuous styles, each offering unparalleled views across London. In addition the Royal and Presidential suites offer the benefit of butler service for that extra touch of luxury living. For fitness fans staying at London Hilton on Park Lane, complimentary entry to Hilton Fitness by Precor® awaits you 24 hours a day and 7 days a week. 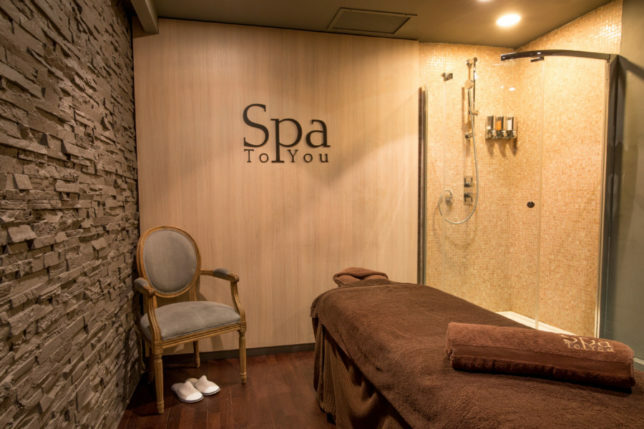 Gentlemen can keep their look dapper at the on-site Barber Shop whilst hotel guests can also treat themselves to a rejuvenating spa treatment at the hotel’s Spa To You. 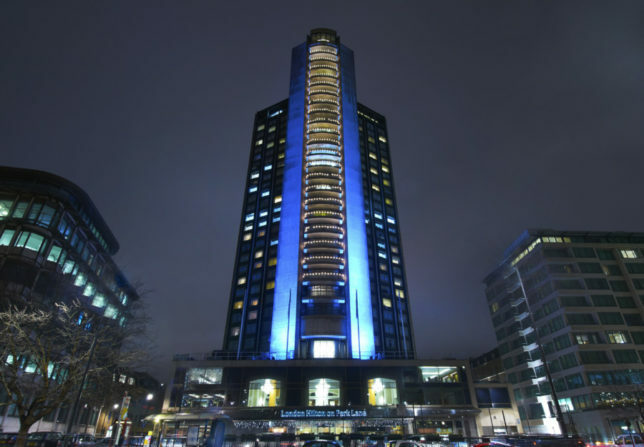 London Hilton on Park Lane is the tallest building on Park Lane and offers a wide range of meeting and event space for any occasion from small business meetings to glamorous award dinners and stylish weddings. 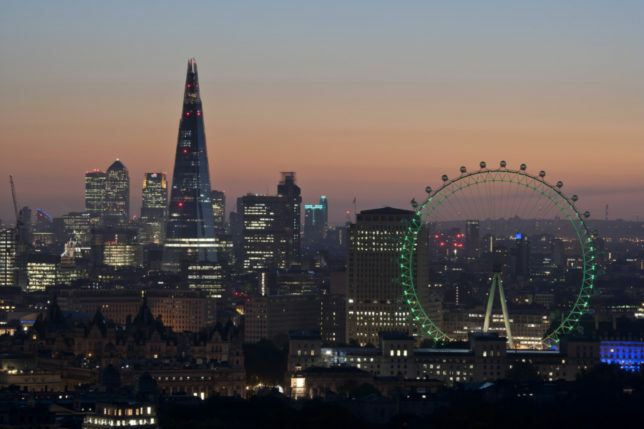 We’re not planning the wedding just yet, so my fiancée and I enjoyed the view of London’s city skyline as we prepared for dinner that evening. 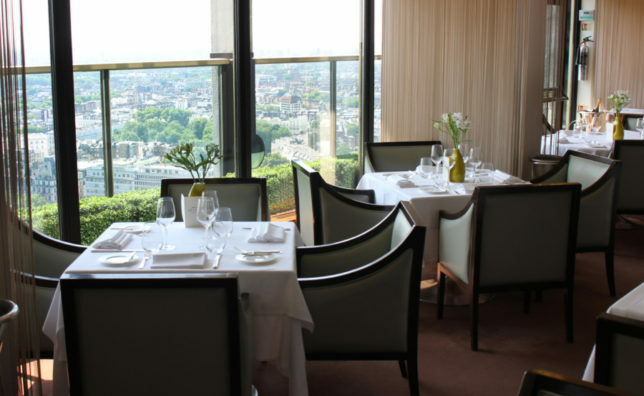 A romantic dinner was planned at the hotel’s Michelin-starred Galvin at Windows restaurant on the 28th Floor. The views from the restaurant are spectacular and we enjoyed a cocktail at the Windows very own bar it was the perfect way to unwind and get ready for the romance and food ahead. 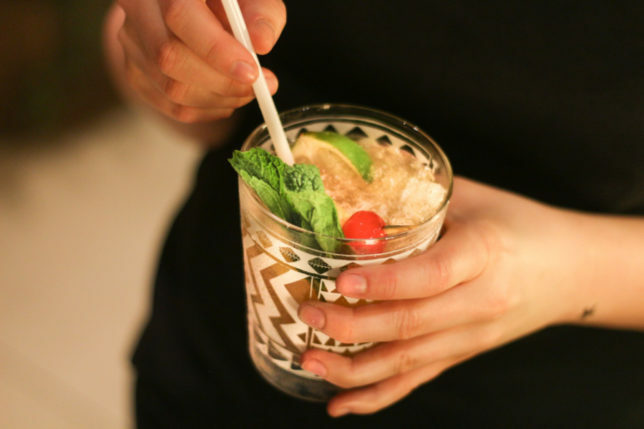 We sampled the Cuba and the Brazil cocktails brought to us by a knowledgeable and enthusiastic bar staff. 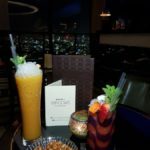 We sat back relaxed and enjoyed the beautiful views as the conversation flowed and we were able to soak up the atmosphere of such a special venue. 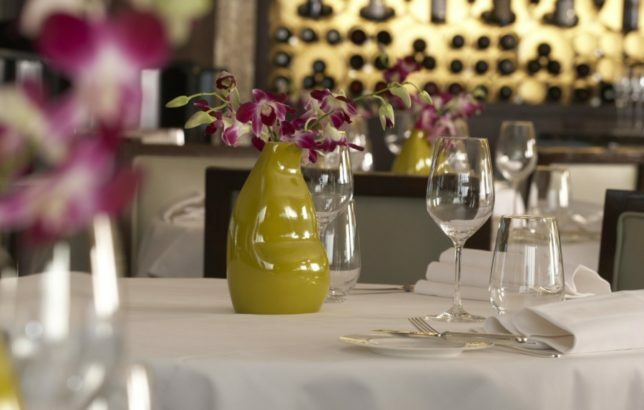 At London Hilton on Park Lane, guests can choose from one of three restaurants which offer a range of elegant dining experiences. 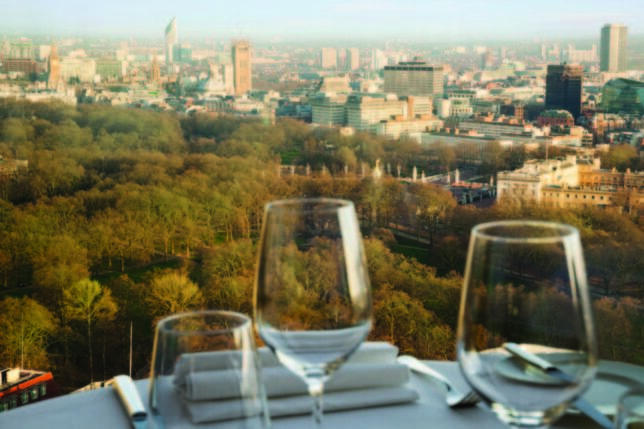 Dine on modern French haute cuisine and take in 360° views of London on the 28th-floor of Michelin-starred Galvin at Windows Restaurant and Bar. For dining with a Tiki twist, Trader Vic’s is a tropical Polynesian-inspired escape and home to the Mai Tai cocktail. Seasonal contemporary European cuisine is available at Podium Restaurant and Bar which also serves as the home of the hotel’s popular afternoon tea for that quintessentially English experience. 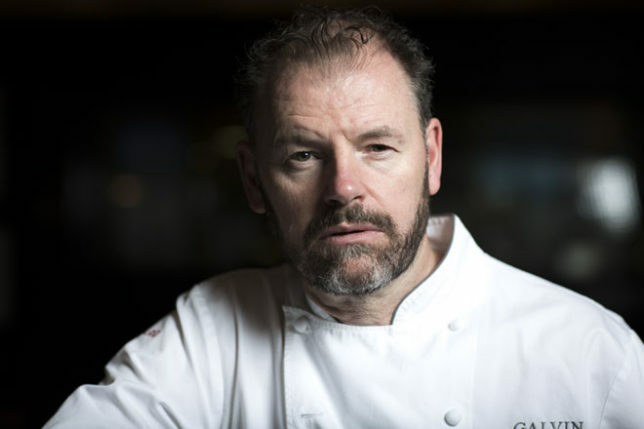 The Michelin-starred Galvin at Windows Restaurant and Bar has become one of the most talked about dining destinations in London. With its breathtaking views, Galvin at Windows is the perfect setting for a memorable romantic dinner with that special someone. 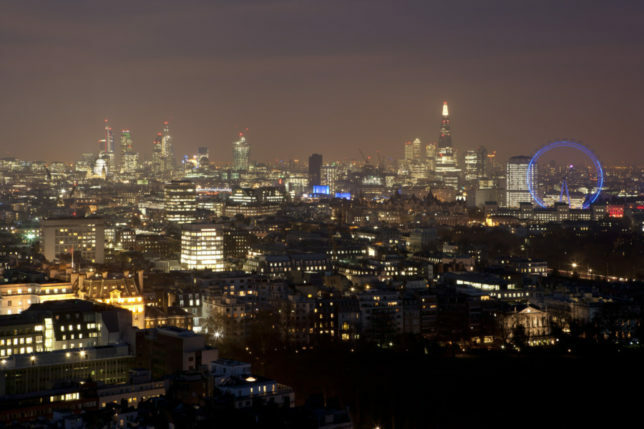 Situated on the 28th floor of London Hilton on Park Lane, guests can enjoy a 360-degree birds-eye view of London. The restaurant’s glamorous and elegant interior evokes the golden age of the 1930s offering a seasonally inspired modern French haute cuisine created exclusively by Chef Patron Chris Galvin and Head Chef Joo Won at the helm of the Kitchen. 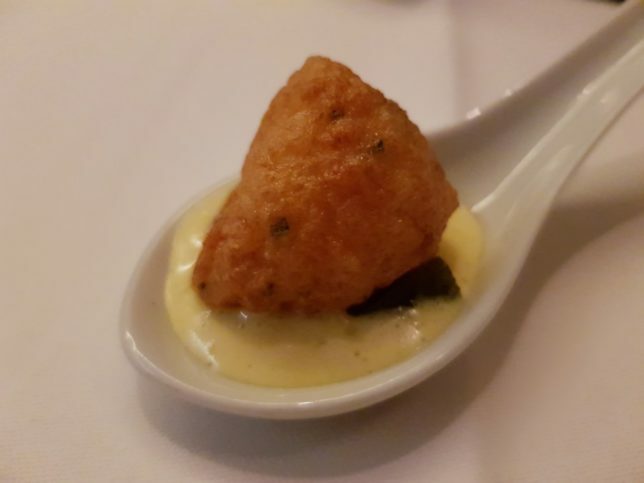 We were first offered an amuse bouche which was the chefs very own take on prawn tempura. This melted in the mouth and whet the appetite perfectly for the night ahead. To start l had the marinated Iberico pork with mooli & fermented chilli purée. 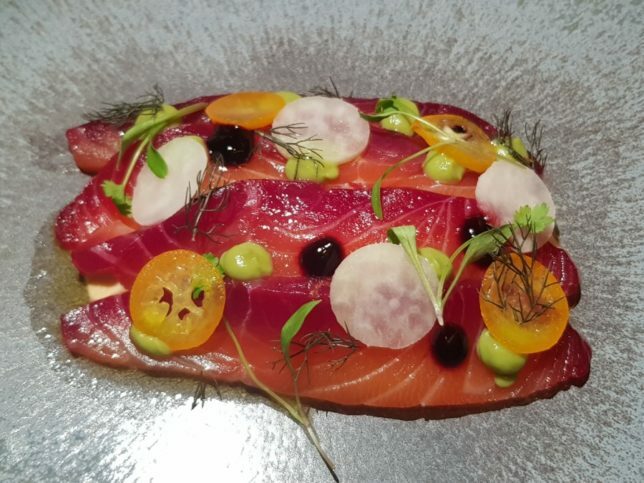 Each element of this dish complemented the other perfectly. 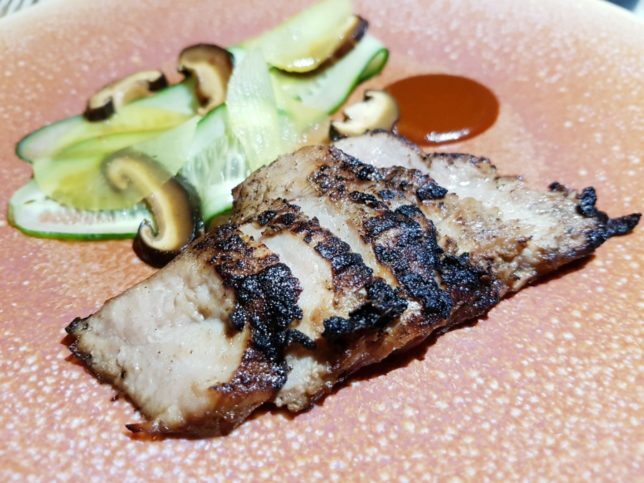 The pork was smokey in flavour yet soft in texture and paired well with the fermented chilli for a moreish dish perfectly proportioned to leave you in anticipation for what was yet to come. 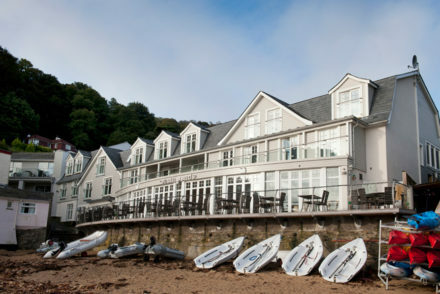 My dining companion started with the beetroot cured Loch Fyne salmon with brown crab mousseline & celeriac remoulade. The beetroot added an earthiness to this fresh dish and the celeriac provided a pleasant crunch to compliment the luxurious creaminess of the brown crab mousseline. To follow, I had the roasted loin of Balmoral venison with chanterelle, quince chutney, venison pie & sauce grand veneur. 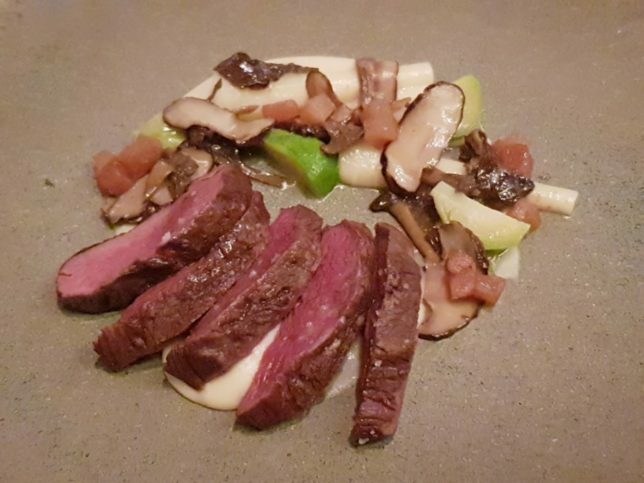 I was delighted to enjoy the venison while still in season and highly recommend you try this dish before it’s too late. 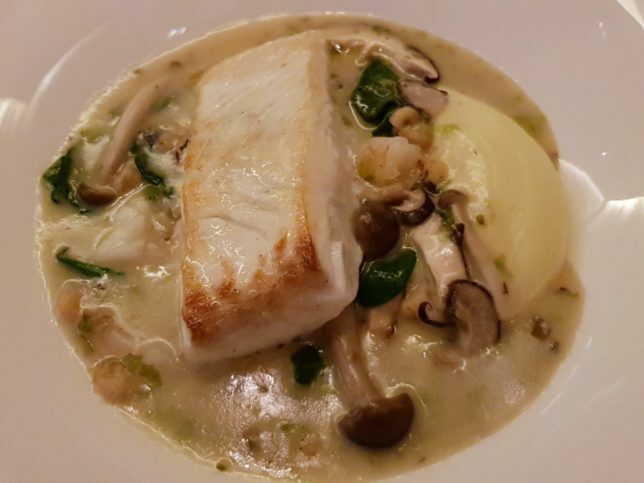 The pan-fried fillet of halibut with pomme purée, seafood blanquette & parsley was an absolute highlight. The halibut had a firm but tender texture and was soft and moist. 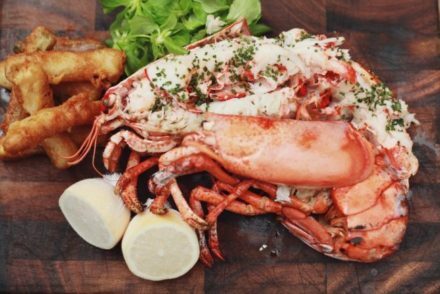 This combined with the seafood blanquette made for a dish that would put any seafood lover in seventh heaven. 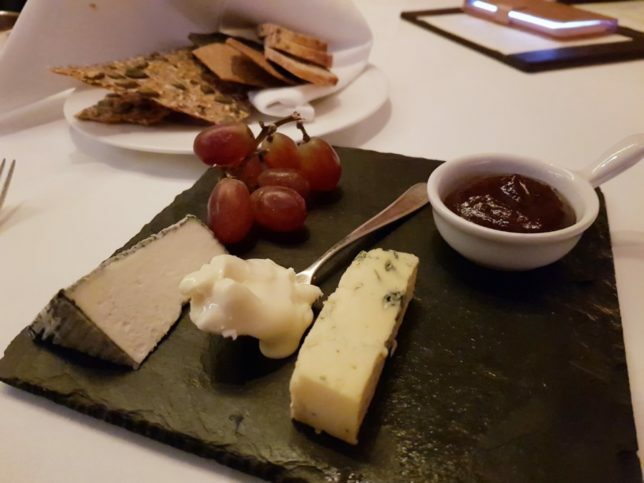 As we approached the end of the meal, I enjoyed a selection of seasonal cheeses by Maître affineur ‘Buchanans’ including a beautiful Stilton with quince and a fantastic selection of freshly made crackers. The mango & passion fruit soufflé and coconut sorbet was a delightful way to end the meal. 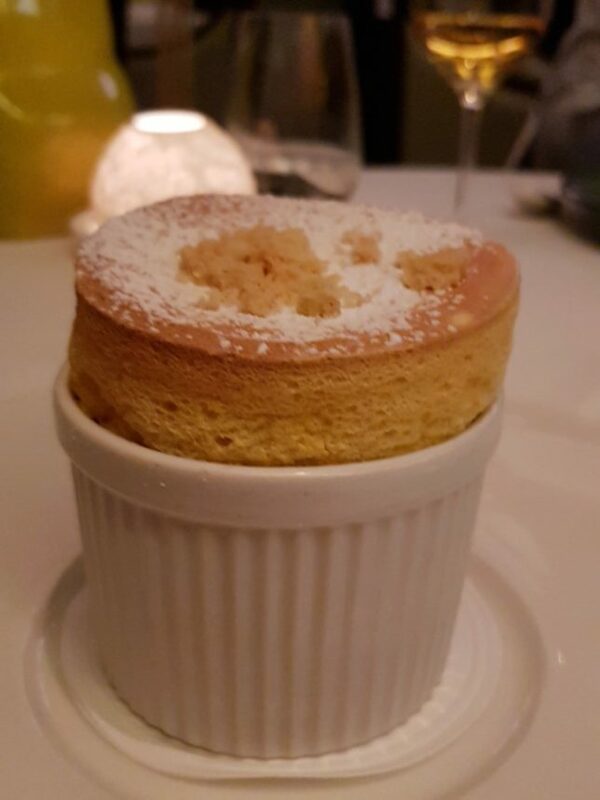 The souffle was consistently smooth throughout with a delightful surprise of diced fresh mango at the bottom of the dish. 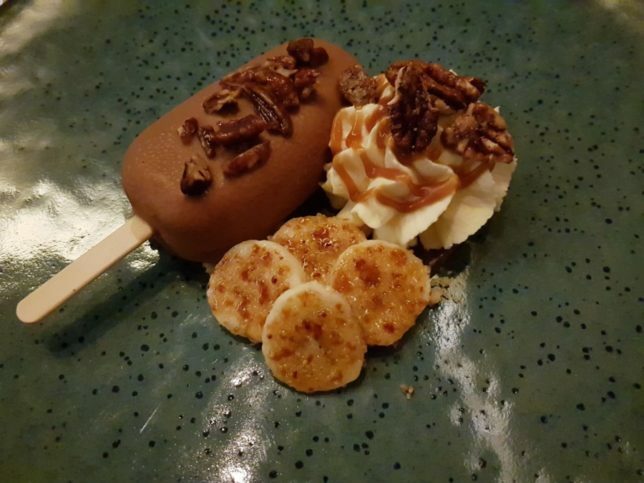 The banoffee ice cream bar with Chantilly cream & toasted pecans brought together all its different flavour components very well. If you are a banana fan this is a must-try and was the icing on the cake to end such a fabulous meal. 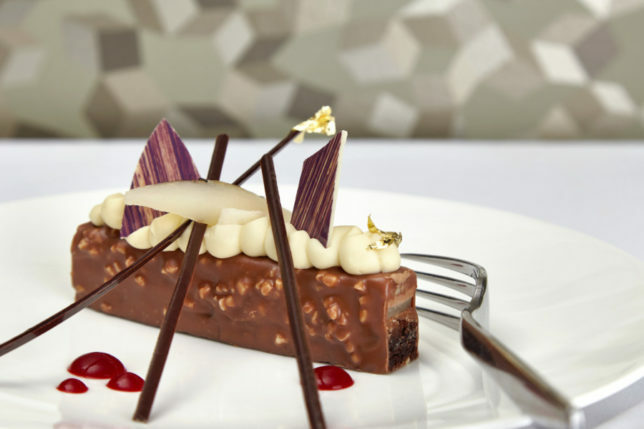 It’s no surprise based on these delectable dishes that Galvin at Windows has maintained a Michelin star every year since 2009, setting the bar for French haute cuisine on the London restaurant scene. 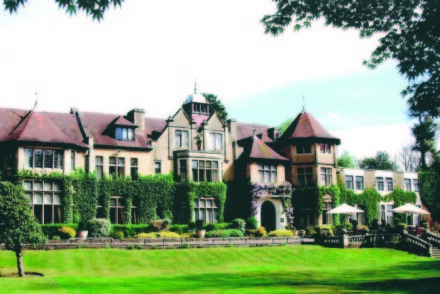 The restaurant is deservedly known for the outstanding service and attention to detail all overseen by General Manager Fred Sirieix. Happy new year!! 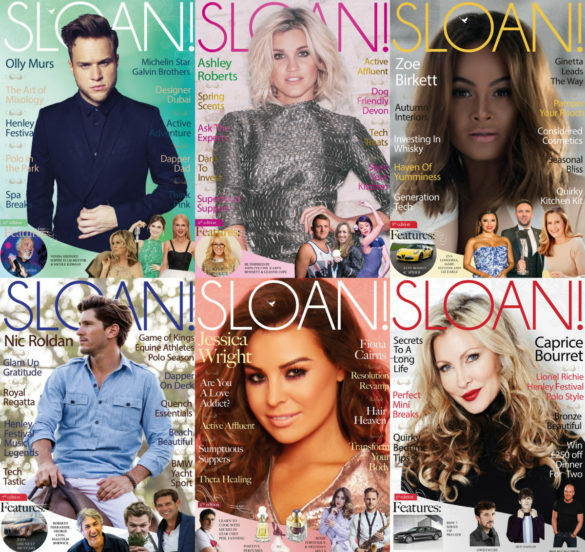 We've had a fantastic year up here on the 28th and we couldn't have done it without you! 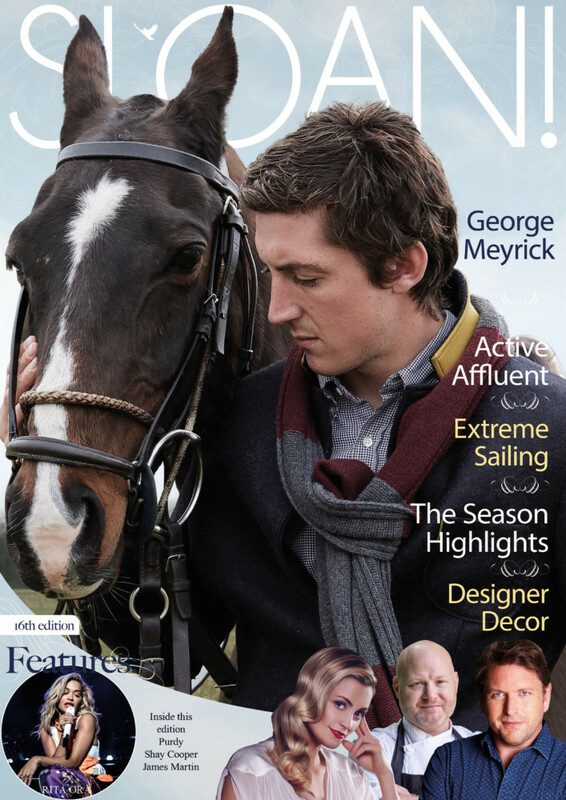 Thank you and Here's to 2018! With over 30 awards to its name Galvin at Windows is one of the great success stories of recent years and its sophisticated surroundings and spectacular backdrop in conjunction with the restaurant’s first class dining make Galvin at Windows a dining destination that’s hard to beat and the highlight of our romantic staycation at Hilton London on Park Lane.